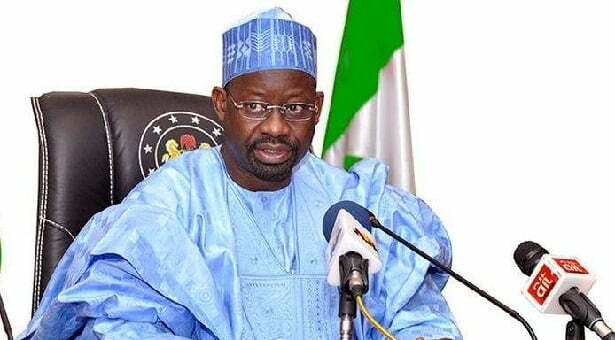 A former Publicity Secretary of the Peoples Democratic Party (PDP) in Bauchi State, Alhaji Bashir Rimin-Zayam has dissociated Gombe State Governor Ibrahim Dankwambo from presidential campaign posters in some Northern States. He said the Governor has not declared interest for any position contrary to the message in the poster. The PDP stalwart said Governor Dankwambo never authorised the pasting of his supposed presidential campaign posters in Gombe, Bauchi or any other state. Zayam, a close political associate of the governor, disclosed this in Bauchi while speaking to journalists. He said “Dankwambo appreciates his supporters whose interest was to woo him to contest for the PDP presidential ticket, but as a law-abiding citizen, the governor says that these were not times for campaign. The Northern Youth Leaders Forum (NYLF) had shortlisted Dankwambo among other 11 northern politicians as potential presidential candidates for the 2019 general elections.